It is so cool how we have two popes. 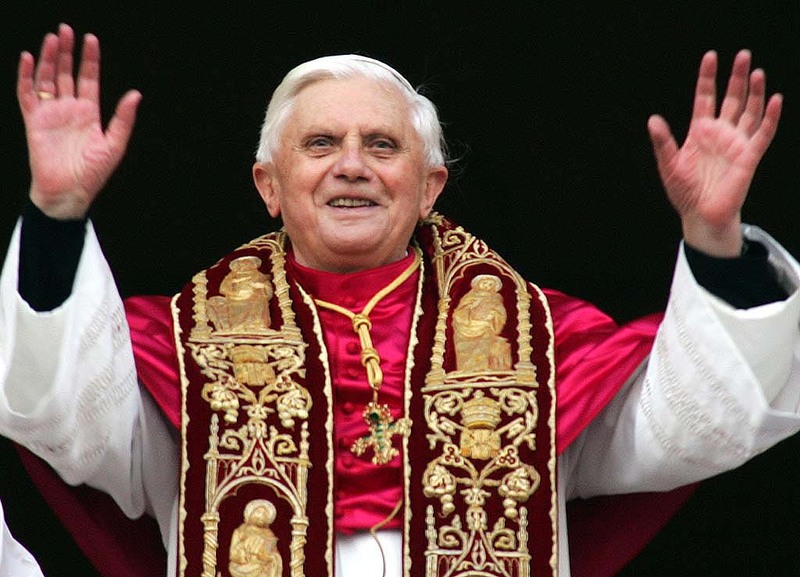 We have Pope Francis and then Benedict, the Pope Emeritus, pictured above. Two popes are better than one! .... and gave a homily. The story said it was a welcome surprise because no one was expecting to hear from Benedict in his retirement. That is not exactly true. There was at least one person expecting it. And Howard was expecting it too. So that is two people. I remember when Benedict stepped down, I said to one of my friends that maybe he could have more time to think now, and that he could advise the next pope. My friend said: "I read he's not going to have any input." I said: "He'll have input." My friend said: "But they say we're not going to hear from him." I said: "We'll hear from him." Sure enough. Who is right? Me. 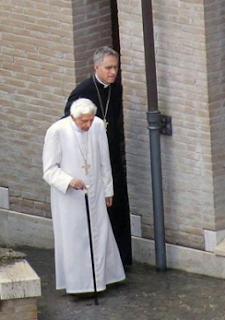 I was right about Pennario and I am right about Pope Benedict. These octogenarians, I have a sense about them. I speak octo! They say Benedict is looking stronger than he looked last year. I am looking forward to his next talk.